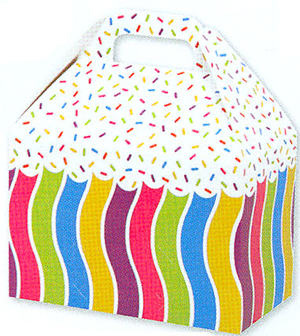 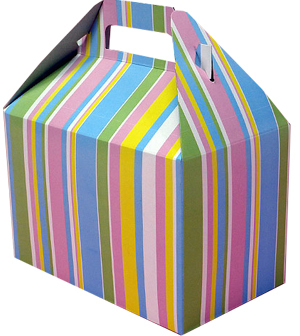 There gable gift boxes come in 3 sizes and 20 designs, custom logo can be printed on boxes by hot stamping. 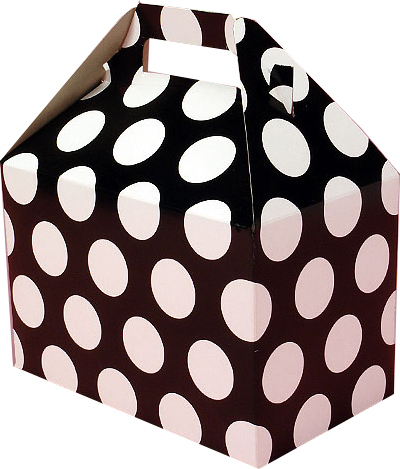 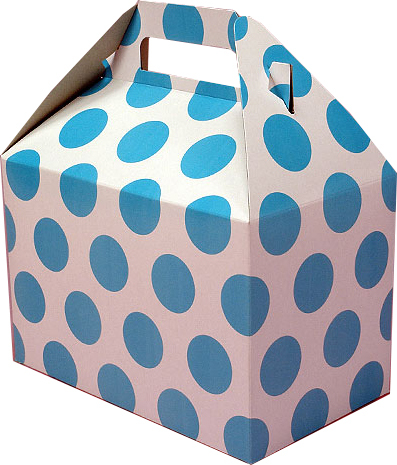 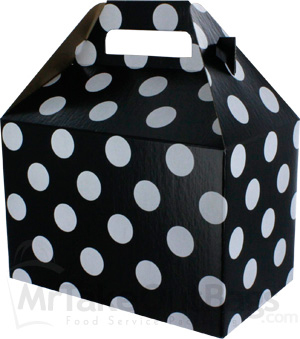 size 1) 4 x 2-1/2 x 2-1/2" 2) 8 x 4-1/2 x 4-1/2" 3) 9 x 6 x 6"
Gift Boxes Shop offer a vast selection of gable boxes and gable gift boxes that come in many colors and designs to fit party and occasion.These gable boxes are a fantastic and easy way to gift wrap items for customers quickly and easily without sacrificing appearance.Gable boxes are best packaging selection for food packaging,lunch boxes,gift items,wedding favour and more. 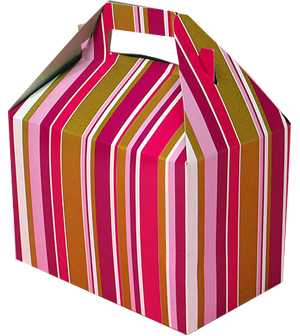 Those gable boxes are made from recyclable even recycled E flute board and paper board to build environmentally friendly creative and unique gift boxes in most cost effective way. 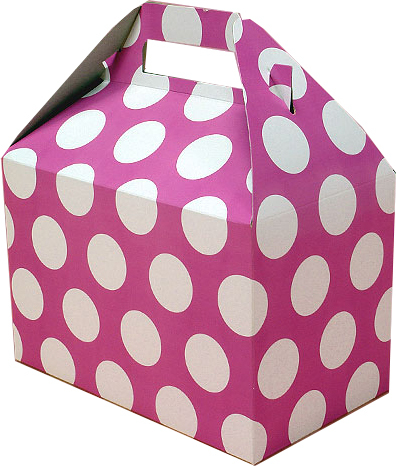 And custom logo can be printed on gable boxes by hot stamping to create personalized gift boxes. 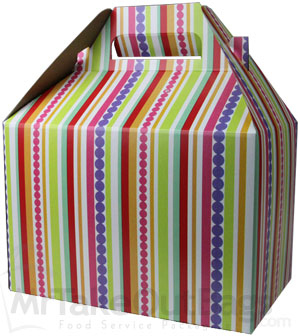 Gift Boxes Shop also provide custom made gable boxes that are made by customer's specification to fit different products and ends.The advantage that you buy gift boxes from Gift Box Shop is that we have no minimum run,No Matter how many custom made gable boxes you need, Contact with us to get cheap price now.